Grandma's potato pancakes are delicious! That's all we can say. They are beyond other words. Really. 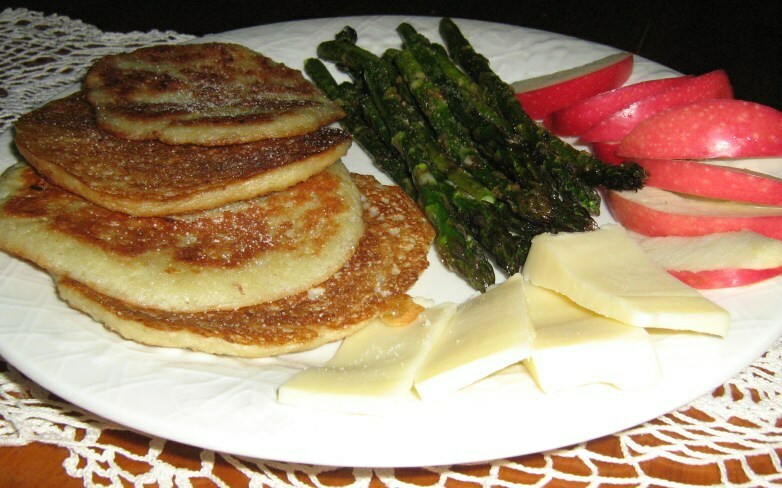 There are many potato pancake recipes out there and most of them are probably just like this one. It isn't a difficult or complicated recipe but these potato pancakes probably tasted so good just because grandma used to make them! And she made them with an extra sprinkle of love. She often made them on a Saturday morning for a late breakfast or brunch (not sure she ever used the term brunch) but they can also be served as a side for a casual dinner idea or a main meal lunch idea. They are pretty prevalent at the local fairs throughout our area but none are as good as these. Some people like' em with a dollup of sour cream, some with apple sauce and still others with a trickle of molasses (yep, grandma used to serve 'em with a jar of Turkey Molasses on the table) - or eat 'em with just a sprinkle of sea salt. No matter how you eat them grandma's potato pancakes are the best! And while these potato pancakes are simply the best, you might like a different variation on the theme. These Sweet Potato and Pear Latkes are also great! processor on "shred" or a blender. baking powder, sea salt and eggs. Mix together thoroughly using your hands. the mixture into flat "pancakes". "grease it well with the shortening. more of a "batter" type consistency.